Okoawo BlueGate: AD and APC Crisis Claimed Four Lives Lagos. 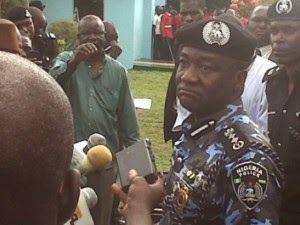 AD and APC Crisis Claimed Four Lives Lagos. Four members of Alliance for Democracy (AD) and All Progressive Congress (APC) lost their lives in an unexplained quarrel between the political parties. This caused a pandemonium in Ajegunle, an outskirt of Ikorodu town of Lagos. A resident, Prince Eniola Ojajune told LEADERSHIP SUNDAY that the problems started as a result of fracas between supporters of two political parties in the area, saying in the end two members of a party were shot prompting outrage in the community. According Ojajune supporters of both the Alliance for Democracy (AD) and those of the All Progressives Congress (APC) have engaged in battle of wits in the area for time and things got to a head when police tried to intervene in the latest crisis between the two groups. Ojajune said two members of the AD whose identified as Abiodun Arowolo and Bolu Bakare got drown in the course of escaping from a detachment of policemen who storm the area when trouble begun as usual. “Two members of the AD drown as they jumped into River Majidun when policemen stormed our area, precisely at Ajewole Street Thomas bus stop. Their names of the people that died are Bolu Bakare and Abiodun Arowolo.” He said. He added that two other members of the community were killed by the police when they (community youth) tried to stage a protest match to the nearby Thomas Police Station. “I personally led angry youths in the community to protest the killing of Arowolo and Bakare to the police station in the community but to our surprise, the policemen sensing danger opened live bullets on the protesters killing two others instantly.” Ojajune said. As at the time our correspondent visited Ajegunle on Saturday, there was relative calm in the neigbourhood as the policemen seem to have restored order. Efforts to contact the Public Relations Officer of the State Police Command, Ms Ngozi Braide were fruitless as she refused to pick her calls, she also didn’t respond to the text message sent to her as at the time of filing this reports.